Can home treatment heal runner’s heel pain? If you’re watching this video lesson right now, you’ll probably already believe it’s possible to heal your heel pain and get back to running even without the help of a doctor. Well the fact is that every year, every single day runners get injured and most of them do heal. Most of them get back to running. Sometimes injured runners see a doctor and sometimes runners just take things into their own hands, they figure out what is wrong and they figure out how to get better without seeing a doctor. If you think about this, when you go to see a doctor there are basically two types of treatment that you might be offered. The first thing that a doctor might offer to you is a treatment that you could easily perform yourself of any kind of home treatment. 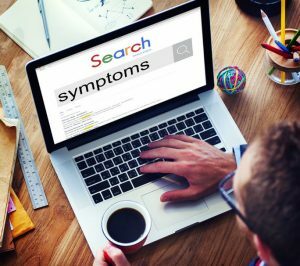 In fact you might have even performed many of these kind of treatments even before you think about going to see a doctor because you want to see if you can get it better yourself. These things might include decreasing your activity, wearing more supportive shoes, applying ice to the foot or trying some home stretching exercises. The second types of treatments that doctors might offer to you are ones that only a physician can perform and what we mean by that is treatments that require very specific expertise, surgical training or a medical license to be able to legally perform them. All that might include writing a prescription for medication which obviously requires a DEA license, performing surgery, which of course requires that a person have not only a medical license but that they have hospital privileges, surgical privileges not to mention surgical training and expertise in foot surgery. The doctor might also recommend specific injections like corticosteroid injections or platelet rich plasma injections and sometimes doctor recommend other procedures like ultrasound or extra corporal Shockwave therapy which can also require some specific expertise and equipment that can’t be purchase without a medical license. Here’s what you really need to understand about different treatment options. First of all, it is a standard practice in medicine that less expensive, less invasive in simple treatments that carry low risk should always be attempted prior to considering expensive or invasive treatments. As a patients without medical license, without special equipment you’re really functionally limited to only trying to simple non-invasive home treatments that you can usually perform at home. It may sound limiting to you, but the fact is, is that when most physician see you and determine you have a condition like plantar fasciitis or some other form of runner’s heel pain, they will in most cases ask you to attempt all of those simple home treatments prior to considering or recommending other things like injections, prescriptions, medication and surgery. Why is that? First of all, most patients do get better with simple non-invasive treatments. There’s a lot of reasons that doctors want you to do as you probably just gets better. But also from a medical legal standpoint doctors know that if they look at you and immediately recommend surgery there’s a high probability that they could get sued or there’s something goes wrong with a surgery. In cases where you may have improved or conservative therapy but the doctor never offer them to you and the doctor actually high risk of getting sued simply because they didn’t try to offer these simple treatments to you before they considered something risky like surgery. Whichever way you choose to look at this, whether you choose to start home treatments on your own or a you go to see a doctor first. You’re probably going to begin with simple non-invasive treatments that you could easily perform at home. Plantar fasciitis is another form of runners heel pain are very common and most of them do get better with treatments that don’t require any kind of specific training or a medical license. Keep this fact in mind, according to an article published in a journal of the American Academy of Orthopedic Surgeons, non-surgical treatment is ultimately effective in approximately ninety percent of patients with plantar fasciitis. That should give you sufficient hope that you can get better with home treatments if you have plantar fasciitis that’s causing your heel pain. The only thing you have to consider is that you have to have the right diagnosis. If you want to quickly fix the problem you have to know exactly what the problem is. For example, if you hear a funny noise when you’re driving your car, when you take it to the shop and the mechanic thinks that your tires are out of alignment. Well that could be causing strange noise and that should be something that’s easy to fix. If the mechanic fixes your alignment but the car still makes the same noise then there’s a good chance the mechanic was fixing the wrong problem. This happens all the time with patients. Somebody starts getting heal pain when their running so they go to the doctor. The doctor reflexively things that is plantar fasciitis because that is by far the most common cause of runner’s heel pain. The doctor then hands out an instruction sheet that says, okay this is what you do this is how you get rid of your plantar fasciitis, these are the home treatments that we want you to try that should fix the problem, that should fix your plantar fasciitis. You go home and you review all the information, you start doing some stretches and other home treatment that should help. But after few weeks of treatment there’s, no improvement. You still have the heel pain every time you go out for a run. You start to get frustrated understandably. You go in and say okay i have heel pain when I run, you describe this whole tale of woe and the frustration with the other doctor and then the doctor takes a different approach because he knows you’re already frustrated and that you failed other treatments. The doctor looks a little more closely and actually figures out that you have bursitis or something else but it’s not plantar fasciitis. Now you get a completely different set of treatments. The treatments may still be simple and the things that you can do at home but you’re trying to fix a different problem altogether. Of course after you address the correct problem in the correct way your heel pains start to get better and you can run happily off into the sunset. The point is, is that you have to have the correct diagnosis. The most important component of this video is that you understand that yes you can get better if you’re treating the correct problem in the correct way. But you have to have a clear understanding of the problem. You have to make the right diagnosis. If you don’t have the true cause of your problem, you’re probably not going to get better. The treatments that work for plantar fasciitis won’t necessarily work for nerve entrapment or bursitis or a stress fracture or any of those other causes. You can’t simply assume that you have plantar fasciitis. Basically, you have two choices. Number one, you can go see a doctor who understands running injuries and make sure that you get the right diagnosis the first time. The alternative of this of course is to be methodical and understand the ways the doctors discern the difference between all of the common causes of runner’s heel pain. If you’re really careful and you make sure that you have right diagnosis yourself, you still get the same result. One common cause of all forms of runner’s heel pain is inflammation. You can treat runner’s heel pain but you have to begin by stopping all of the inflammation before you’re going to get better. 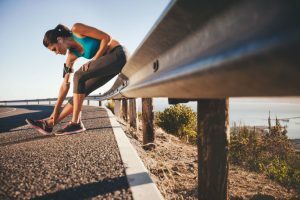 Make sure that you view the section on stopping inflammation, so you know exactly how to deal with the inflammatory component of runner’s heel pain, so you can get better as quickly as possible. Decrease the stress on the plantar fascia. If you have plantar fasciitis which is by far the most common cause of runner’s heel pain. You have to decrease the stress on the plantar fascia if it’s going to heal quickly. This part is really not that complicated, if the plantar fascia is injured you have to keep the foot stable enough so it can heal.The collagen fibers have to become repaired and the plantar fascia has to heal. That’s mean you have to stabilize the foot and decrease the stress so the collagen strands can repair themselves. There are many different ways to decrease a stress and the strain on the plantar fascia. There are couple of lessons that actually show you the most effective strategies that doctors use to stabilize the foot and decrease the stress on the plantar fascia. Make sure you view those and understand how these strategies can help you run without straining the plantar fascia. Stretch the Achilles tendon. Fortunately everyone who gets plantar fasciitis has a tight Achilles tendon. Stretching the Achilles tendon is the single most important component of treatment. As you view all the lessons in this course, you’ll learn that there are many different things that you can do to speed the healing of plantar fasciitis, but if you do everything else the doctors recommend but you do nothing to deal with the tight Achilles tendon, it will take way longer for your plantar fasciitis to heal and to make matters worse you have a very high likely that you’ll get plantar fasciitis again that disrupts your running sometime in the future. What you really have to take away from this video is that yes, it is possible, home treatments can heal runner’s heel pain. In fact they do in ninety percent cases. You have to make sure that you understand the common causes of heel pain and then just figure out which one is yours. Once you’re sure that you know the problem, it’s a lot easier to fix it. All you have to do is watch the corresponding lessons that teach you how doctors treat it. Then it’s just a matter of applying what you have learned and getting the condition to heal and then getting back to running without re-injury. Then you should be well in your way. «« Why some runners with plantar fasciitis never get better.